GUYS & OTHER THINGS THAT FRY YOUR BRAINS OP! A collection of short stories conveying spiritual truths which relate to getting along with siblings, building trust with parents, guy-girl relationships, and handling life's setbacks. 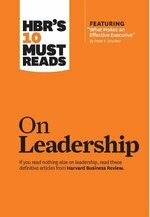 If you read nothing else on leadership, read these 10 articles (featuring "What Makes an Effective Executive," by Peter F. Drucker). We've combed through hundreds of Harvard Business Review articles on leadership and selected the most important ones to help you maximize your own and your organization's performance. Ours is an age of rapid change. What is fashionable comes and goes more quickly than ever before. In a world of such rapid change, it's essential to know who you are--to know where you come from, to have your roots go deep. Walking through this book is like going to a large family reunion and meeting for the first time some relatives you didn't know you had. Here in all of its richness and diversity is your family of faith. Of course, the roots of Christian education go deep into the Hebrew heritage. In many ways, Christian education is an extension of Hebrew education. - Unleash your God-given creative talents and become a more effective youth worker. - Transform your youth ministry with loads of brand-new, idea-generating exercises and practical learning experiences for Bible studies, worship, service projects, games, and more! 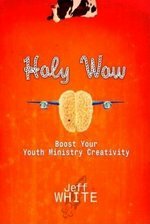 - Discover new methods of creativity that will help you customize your ministry for the exact needs of teenagers in your community. - Read real-life case studies that reveal insights from some of the most innovative youth leaders in the country. - Includes evaluation tools to help you measure your effectiveness, expand your reach, and ensure spiritual growth. Great answers start with great questions. People remember what they discover for themselves far more than what others tell them. A great question can mean the difference between exchanging information and discovering deeper meaning. In How to Ask Great Questions, you'll learn when and how to ask effective questions and how to promote follow-up discussions that will lead from thoughtful conversations to life application. Ideal for small-group leaders, Sunday school teachers, and anyone who regularly leads group discussions or committee meetings. Transform a gathering of acquaintances into a community of friends. 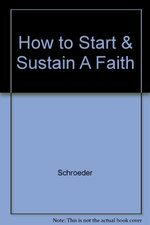 This book will be a basic resource for persons to use who are interested in starting and sustaining a faith-based small group for young adults. It will include how to start a young adult group, how to take the temperature of the group, how to prioritize and divide time, tips for lively discussions, dealing with problems especially common in young adult groups, how to adapt material, how to create options that relate especially to young adult groups. 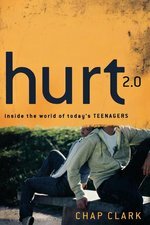 Hurt provided a vivid and insightful view into the world of today's teenagers. 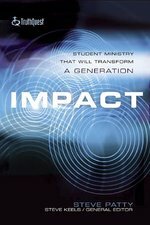 Now leading youth ministry expert Chap Clark substantially updates and revises his groundbreaking bestseller (over 55,000 copies sold). Hurt 2.0 features a new chapter on youth at society's margins and new material on social networking and gaming. Each chapter has been thoroughly revised with new research, statistics, quotations, and documentation. About the Contributor(s): Todd C. Ream (PhD, The Pennsylvania State University) is Professor of Higher Education at Taylor University and a research fellow with Baylor University's Institute for Studies of Religion. Perry L. Glanzer (PhD, University of Southern California) is Professor of Educational Foundations and a faculty fellow with the Institute for Studies of Religion at Baylor University. Together, they serve as the book review editors for Christian Scholar's Review and are the authors of Christian Faith and Scholarship: An Exploration of Contemporary Developments and Christianity and Moral Identity in Higher Education. Today's youth ministry world is one of excitement, depth, life change, and God-sized movement. Youth workers everywhere are gaining more and more momentum as they reach out to the students in their towns and cities. One trend continues to grow for youth workers: transition. Every youth worker goes through some sort of transition in his or her career. In Transit's goal is to equip the youth worker with a quality tool to help make that change effectively. Whether transitioning from one youth ministry context to another, from a college or seminary to a career in youth ministry, or waiting for the arrival of a new youth pastor, In Transit can help make the transition as valuable and momentum building as possible.In Transit is divided into four sections that walk through the timeline of transition for a youth worker: Part 1 focuses on the new call a youth pastor may be wrestling with; part 2 focuses on saying goodbye to the former church and hello to the new opportunity; part 3 looks at the days just after the arrival at the new church; and part 4 concludes with a glimpse into the future. 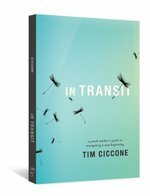 In Transit will guide you to a better understanding and practice when transitioning from one ministry to another. 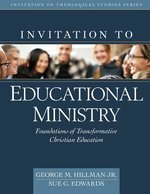 Because teaching is at the heart of Christian ministry, the editors of Invitation to Educational Ministry have assembled a team of seasoned experts to present a comprehensive plan of Christian education. This volume will help church staff, parachurch leaders, and small-group teachers become more effective, influential, and creative. After laying a biblical and practical foundation for Christian education, the contributors provide specific guidance on teaching a variety of individuals and groups, including children, adults, singles, seniors, and non-Christians.